Australia Day - Let's stick together | Mike Hitchen Online: Mike Hitchen Unleashed - telling it like it is! Tomorrow is Australia Day, or as some wish to call it, "White Invasion Day." Personally, I don't want to get too deep into that argument, and I wish others would feel that way too - there are plenty of other days of the year to discuss that issue. Just for one day - let's all be Australians. Whatever our gripes, complaints and injustices that have been endured, either here or in the lands from whence we came either by choice or to escape persecution and oppression, we all live here. We are Australian. Can we have one day without talk back referring to those who have been bombed out of their homes as a result of action by Western governments and agenda pushers - as "so called refugees"? Perhaps the populist media may even be able to restrain themselves from declaring, "if you don't like it here - go home" which might be easier if their home hadn't be reduced to rubble by mass media supported wars. The same media of course prides itself on freedom of speech and "saying what's on your mind", as long as it happens to fit station policy. Let's face it, we are all in this together. Whether one was born here or came by boat or plane, we are here - it is our home. It is up to each person and community to accept that, accept and respect each other's cultures and get on with the job of making this country a country to be proud of, a country we do not want to flee, a country where we are all Australians no matter how we spell our names, what clothes we wear or the color of our skins. 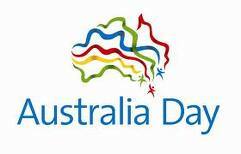 On Australia Day - be Australian, and be bloody proud of it. ** Typo in title corrected!